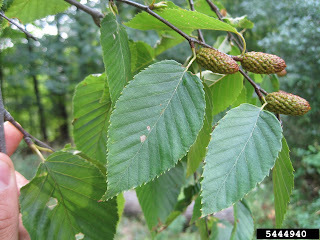 The Sweet Birch or Cherry Birch (Betula lenta) is most easily recognized by the combination of fine and sharply toothed leaf margins, wintergreen scent, scales on the cone like fruit and dark brown almost black bark. 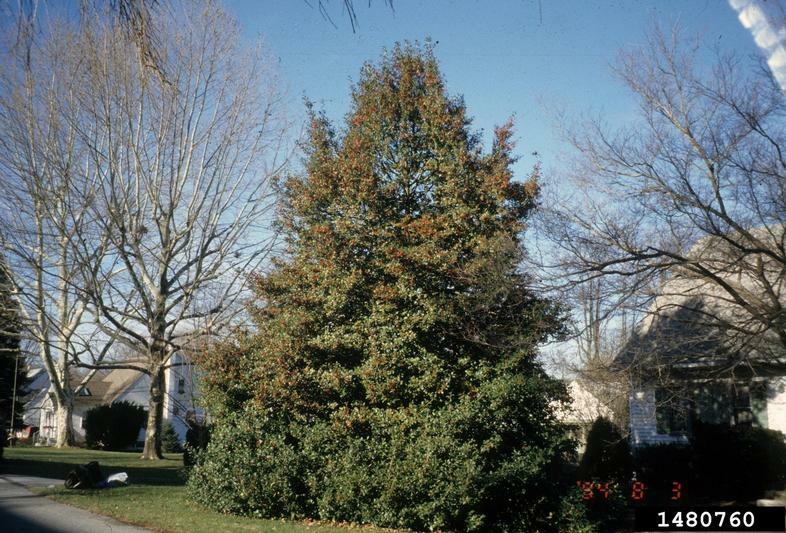 It is a deciduous tree that can reach heights up to 65 feet, but usually does not exceed 3.5 feet in diameter. The tree grows in an upright form with a generally single erect straight trunk and a rounded crown. 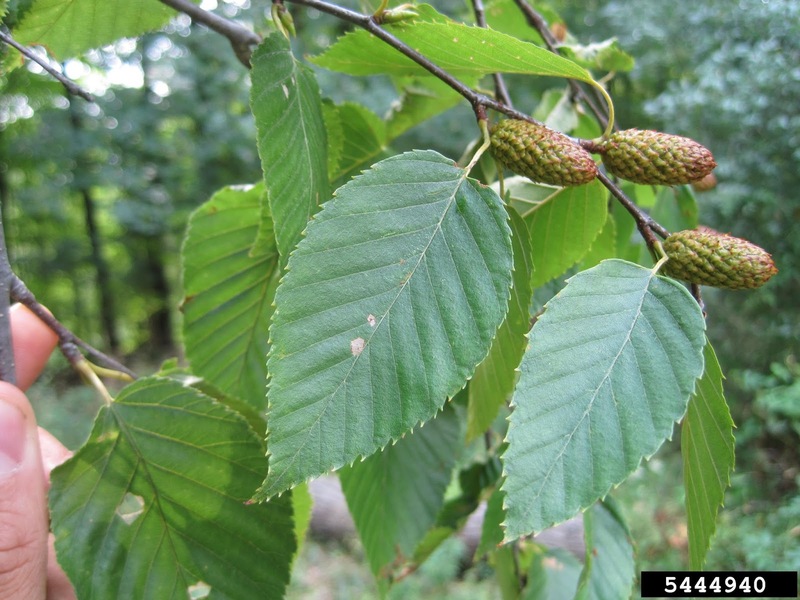 The Sweet or Cherry Birch is native to the United States. 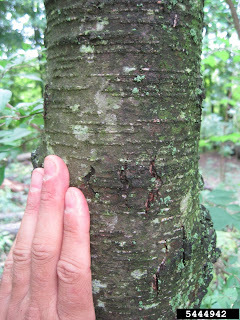 It prefers rich, moist soil, cool forest areas, mountain slopes, Appalachian hardwood forests. It can be found naturally occurring from New York and Maine in the North to Northern Georgia, Alabama and Central Mississippi in the South. 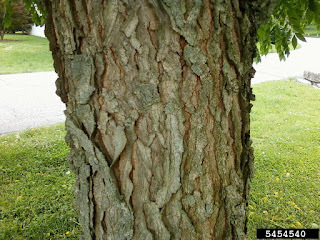 It is not often confused with the closely related Yellow Birch as the bark is significantly different in not only color but texture as well (Yellow Birch has a yellowish exfolliating bark). The "American Snowbell" - Styrax americanus - is a deciduous shrub/small tree that is native to the Southeastern United States. It ranges in height from 6-10 feet with some even reaching heights of 15 ft in ideal conditions. 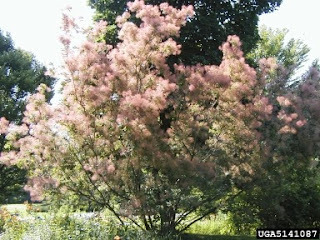 It is native to damp woods areas, swamps, marshes, flood plains and stream/river banks, sometimes growing even in standing water. Primarily found in the Southeastern portions of the U.S. from Florida to Eastern Texas and North along the coastal plains to Virginia and up the Mississippi valley to Southeastern Missouri, up the Ohio valley to Southern Illinois and Southern Indiana. The Nannyberry is a small tree or large shrub native to the Northern United States and Southern portions of Canada. Generally found growing naturally along woods edges and within woodland settings. Nannyberry is in the Elderberry family and is also called Nannyberry viburnum or Sheepberry. This variety is best suited for zones 3-7 and grows well in alkaline, moist, dry or well drained soils. 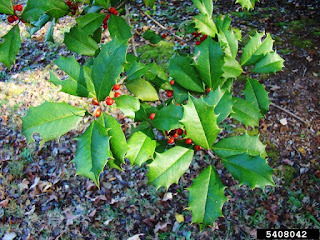 The growth habit of the Nannyberry is clumping, thicket forming, arching or multi stemmed. The Nannyberry is a fast grower and is adaptable from full sun to partial shade. The Nannyberry can reach heights of up to 25 feet and prefers full to partial shade. 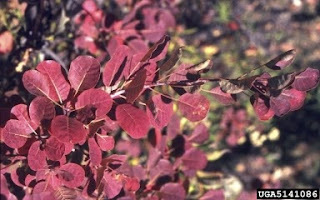 Nannyberry is known for its dark, lustrous green leaves which turn a maroon to deep red in the fall. The leaves are finely toothed, short to long pointed, hairless and somewhat egg shaped, leafstalks are winged. The leaves are 2-5 inches long. 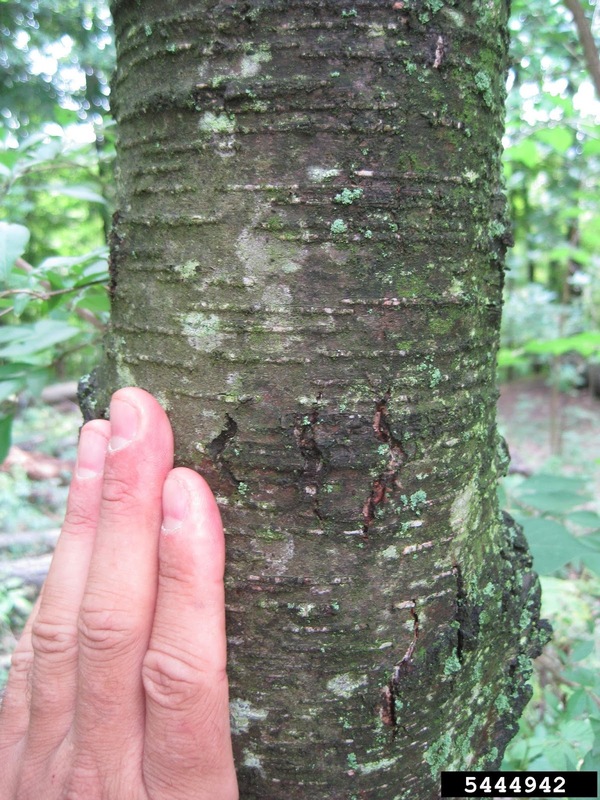 The twigs are long and flexible, with a rough granular texture on the surface. Buds are brown or gray in color, long and slender with rough-granular scales. 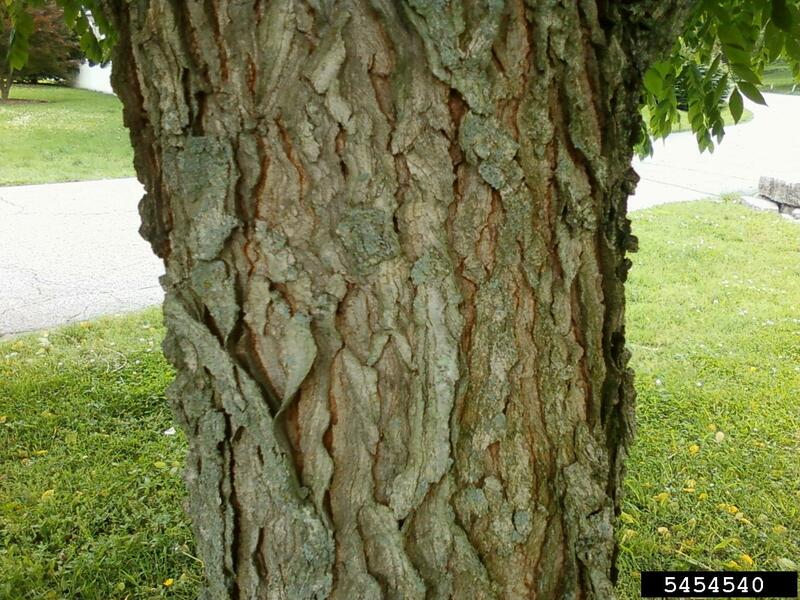 Flowers are white in color and appear on the "old wood" portions of the tree, not new growth. The berry like fruit (drupe form) starting out yellow and red and maturing to blue or black. Birds are attracted to the fruit that ripens in the fall and often persists into December. This plant is a caterpillar and larva host to the spring azure butterfly.